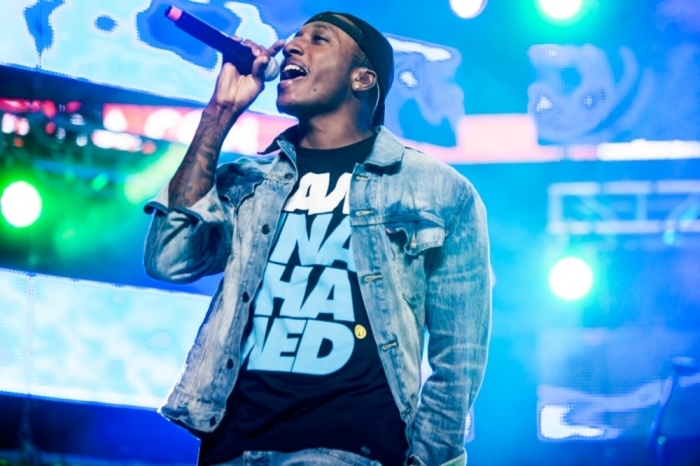 Lecrae recently discussed the topic of faith with a popular hip-hop website while promoting his upcoming "Anomaly" album. The publication asked the Grammy-award winning rapper how he balances God, family and music when he's on the road. He replied with an answer common among Christians. "The good thing about God is that he's everywhere already, so I don't got to take him with me. That's just a relationship," said Lecrae to HipHopDX.com. "I'm not religious at all; I'm not into the routines and rituals. I have a relationship with God, and he's with me everywhere I go, so I don't have to force that. When I'm on the tour bus or on stage, we're communicating, and you know, I can read on my bunk." Lecrae admitted that keeping family as a priority while touring can sometimes be difficult, and he even had to move a show date in order to make his daughter's birthday once. He also spoke about his upcoming album and stated that he's already moved on from it creatively. "I've already moved onto the next thing," he said. "The rest of the world.. the people who are waiting on the project are still waiting. I'll have to go back through the experience of listening to it again with them as they hear it for the first time." His next comment alluded to the work he's currently focused on. "I've been just trying to knock out features," he said. "I don't wanna give none of them away because I don't know what all of the rules and regulations are… but that's what I've been doing." Lecrae made history last month by being the first Christian rapper to have the number one hip-hop song on iTunes beating out Nicki Minaj's "Anaconda."